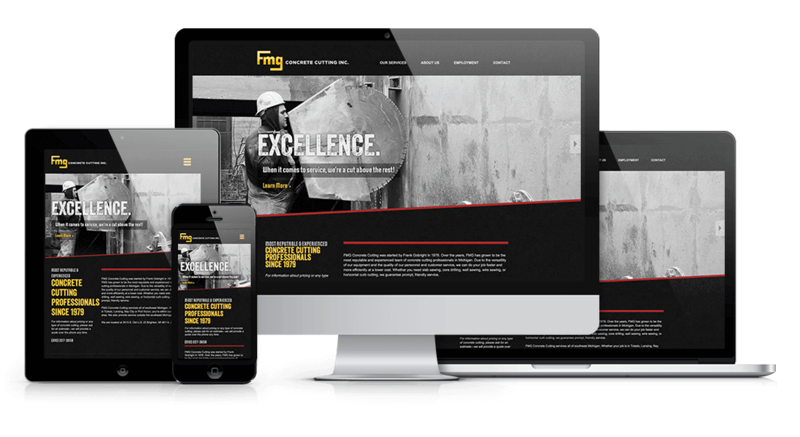 FMG Concrete Cutting | Kmotion Design Inc.
FMG Concrete Cutting, established in 1979, is one of the top concrete cutting companies in the midwest. Their wide range of services and state the art equipment makes them a cut above their competition. We designed their site to highlight their qualities, and reflects their brand with an edgy, modern look that is viewable on all devices. "The site views great on all my devices!" CEO - FMG Concrete Cutting Inc.